Naming your product True Focus. Naming your product False Focus? Whereas the former has a tall order to fill, given that it must provide actual, authentic focus, the latter absolutely does not give a flying F, which deserves “style points” at the least. Plus, what a better world we’d be living in if scammy supplement manufacturers brought it upon themselves to be forthright in their scam. I couldn’t fault a bad formula that tells you it’s bad. As such, I don’t know what’s true until I review, so let’s get on with this review to see how true True Focus truly is. Who Takes NOW True Focus? Conclusion: Does NOW True Focus Work? 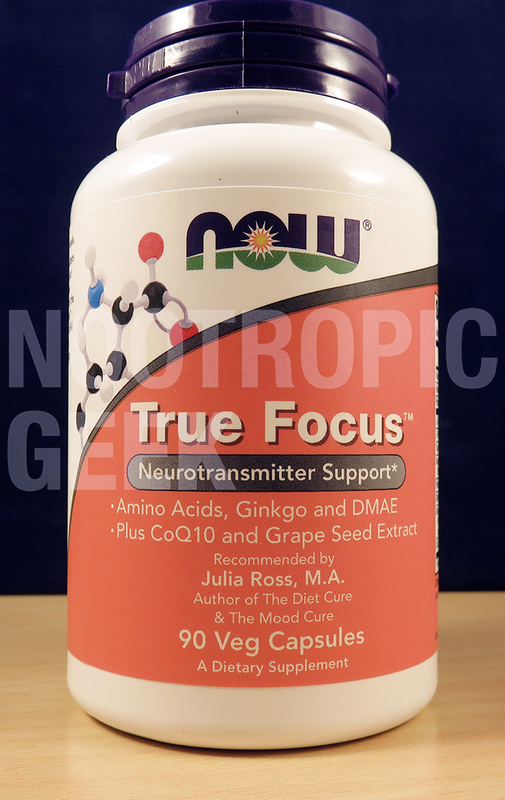 Manufactured & sold by NOW®, True Focus is a “Neurotransmitter Support” nootropic stack, reportedly recommended by Julia Ross, M.A., author of The Diet Cure. Emphasis is placed on L-Tyrosine & L-Phenylalanine for their neurotransmitter benefits, but these bio-actions apply only to certain cerebral conditions. By opting for vegan ingredients & capsules, True Focus is morally available to all consumers. Directions: As a dietary supplement, take 1-2 Vcaps® 1 to 2 times daily between meals, or use as directed by a health practitioner. If you’re like me, then you have two simultaneous, contradictory knee-jerk reactions to the label “Vegan”: On one hand, there’s the instant association with health & wellness. On the other hand, there’s the resentment of Oh, where do they get off thinking they’re better than me? Of course, if you’re vegan, then this latter reaction doesn’t apply to you. Potassium Ascorbate – Not a nootropic, nor a common ingredient in nootropics, but the Potassium + Vitamin C duo may help support healthy circulation and antioxidant capacity in the brain. Vitamin B6 (as Pyridoxine HCl) – Of the B vitamins, B6 serves the most nootropic potential for its mood-enhancing neurotransmitter support & cerebral circulation benefits. More on Vitamin B6. 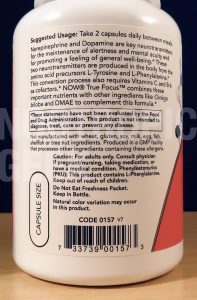 L-Tyrosine (Free-Form) – True Focus settles on the cheap-o form of Tyrosine (the correct answer would have been N-Acetyl L-Tyrosine), yet its anti-stress benefits are still worthwhile. Compared to other adaptogens, L-Tyrosine’s anti-stress effects have only been observed under stressful conditions (e.g. exam day, sleep deprivation, etc. ), making it a perfect “as-needed” boost. More on L-Tyrosine. L-Phenylalanine (Free-Form) – Used in conjunction with certain vitamins & minerals (including B6 & C), Phenylalanine is an essential amino acid used in the synthesis of “feel-good” neurotransmitters such as dopamine, epinephrine, & norepinephrine. 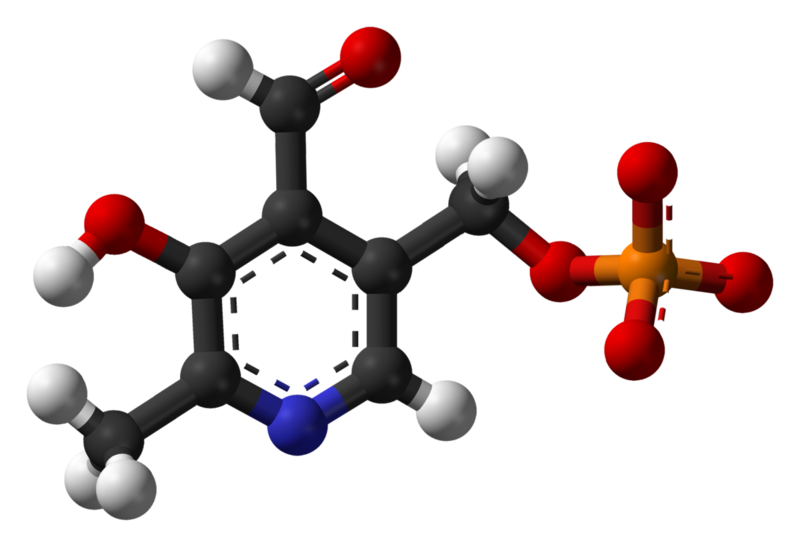 Taurine (Free-Form) – Sedative antioxidant commonly found in energy drinks. Helps decrease anxiety, while supporting sleep & relaxation. More on Taurine. 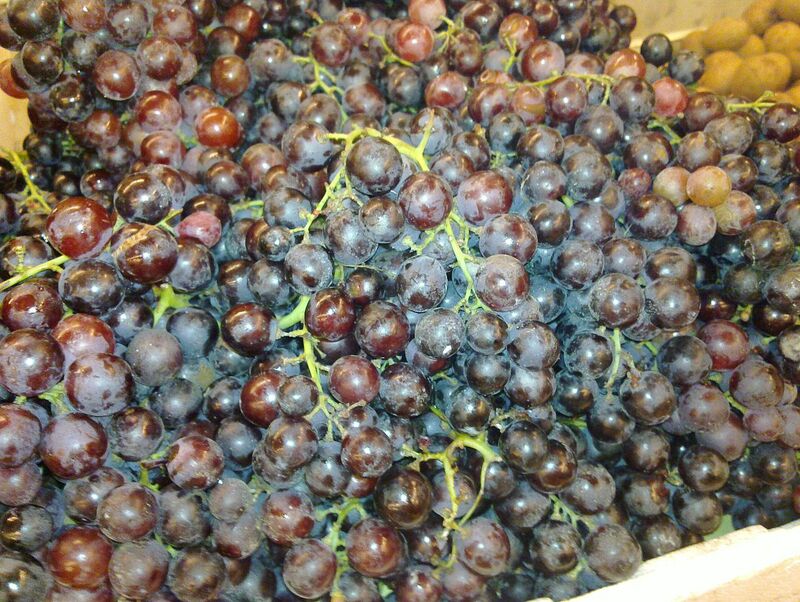 Grape Seed Extract (Standardized for Polyphenols) – Grapes are nootropics? Not really, but their polyphenols serve awesome neuroprotective antioxidant action. I wish I knew which polyphenols are emphasized here (as Pterostilbene is a better polyphenol than the common Resveratrol), but I’ll still take them as is. More on Pterostilbene. 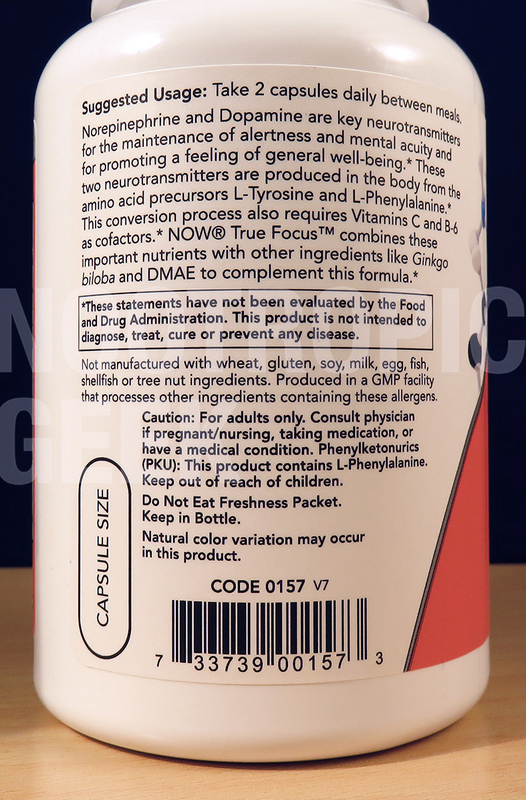 DMAE (from Dimethylaminoethanol Bitartrate) – DMAE has several brain boosting benefits, including increased synthesis of neurotransmitter acetylcholine, optimized brain cell membranes, and decreased Theta brainwave agitation. More on DMAE. Ginkgo Extract (50:1 Standardized Extract, min. 40 mg 24% Ginkgoflavonglycosides and 6% Terpene Lactones) – High-quality, potent Ginkgo, a notable nootropic herb for its cerebral circulation benefits as well as its demonstrated improvements on memory & attention, in both the old & young. More on Ginkgo Biloba. 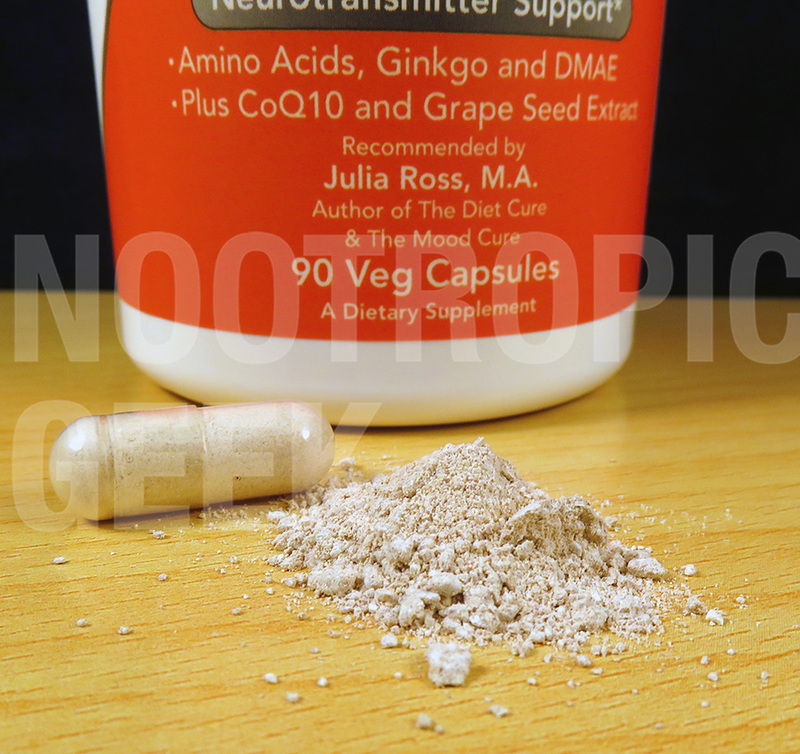 CoQ10 (Coenzyme Q10) (as Ubidecarenone) – Potent, fat-soluble antioxidant that protects neurons from free radical damage, while also sparking cellular energy in brain cell mitochondria. After reviewing the formula, I can rest assure: True Focus is all about that vegan health & wellness lifestyle. 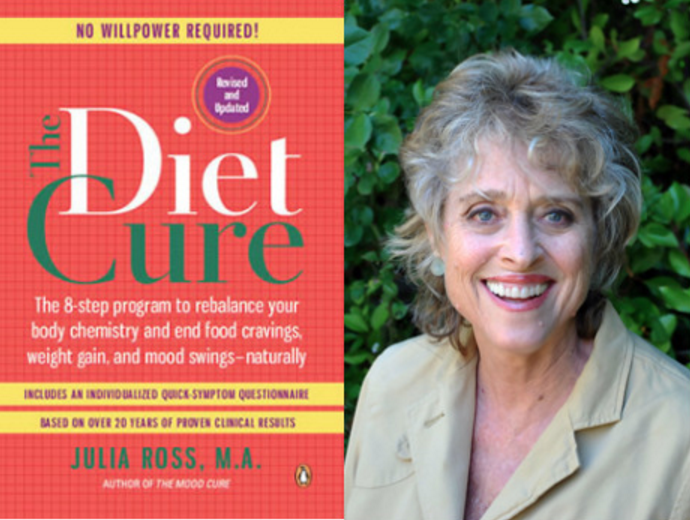 Julia Ross, M.A.? More like Julia Boss, B.A.M.F.! Throughout the past couple of decades, the phrase “antioxidants” has become a sort of buzzword for any small invisible compound that’s believed to promote longevity. For the most part, this holds true: Antioxidants help diminish free radical damage that may otherwise decrease physical & mental health over time. It’s a hard benefit to measure, because it requires monitoring health over the course of lifetime (while also controlling for all the various life factors that may obscure the results), but, based on experimental models, it’s a benefit I have confidence in. 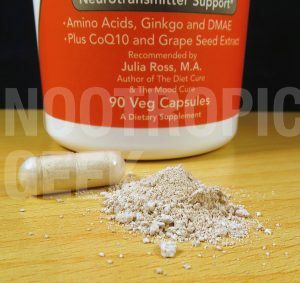 Does “antioxidant capacity” equal “nootropic action” then? Like, anyone can see that it’s simply healthy nutrition, dood. Yet, True Focus still manages to notch in a few nootropic ingredients, most notably L-Tyrosine, which helps eliminate stress during stressful conditions (e.g. exam day, deadline day, sleep deprivation… day, etc., etc.). Plus, Ginkgo Biloba benefits circulation & acute memory in a way that I classify as “nootropic action.” Under its product description, True Focus emphasizes the abilities of L-Tyrosine & L-Phenylalanine to boost dopamine & norepinephrine for “maintenance of alertness & mental acuity,” and this is true, but only to a limited, conditional degree here. 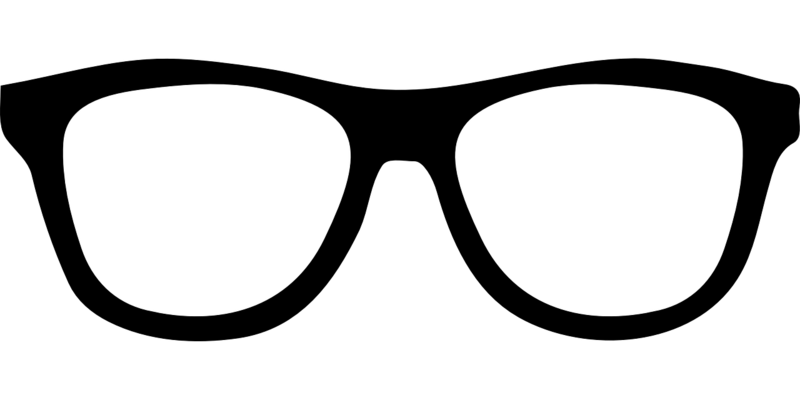 There are better nootropics for alertness & mental acuity (e.g. Citicoline, Hup-A) not implemented in this formula that I’d like to see. As such, True Focus may work as a subtle “as-needed” nootropic to resist the stressors of a stressful day. Otherwise, it’s simply just solid antioxidant nutrition with decent neurotransmitter support. The various antioxidant sources don’t spell out “nootropic,” but are great for long-term brain health, helping secure cognitive function for the long run. 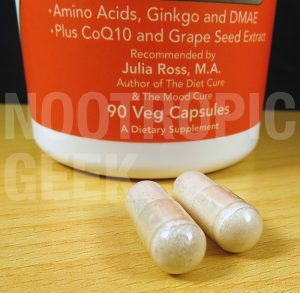 L-Tyrosine & Ginkgo Biloba do help secure nootropic anti-stress & memory related benefits for the here-&-now, particularly during times of stress. Quality & dosages are adequate on some of the ingredients that matter. NOW supplements is a reputable company with a long history of making good products. For a nootropic called “True Focus” there’s a surprising lack of potent, straight-up focus-enhancing nootropics. Quality & dosages can be improved on a few of the ingredients, notably on L-Tyrosine, which should be upgraded to N-Acetyl L-Tyrosine. 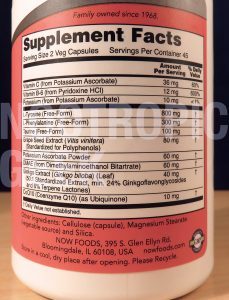 Magnesium Stearate is veggie-sourced, which sounds groovy, but actually diminishes the bio-availability of the entire Vcap formula. Health enthusiasts. Users who value long-term health as much as (if not more than) immediate boosts in cognition. I realize that sounds pretentious, but get over it. 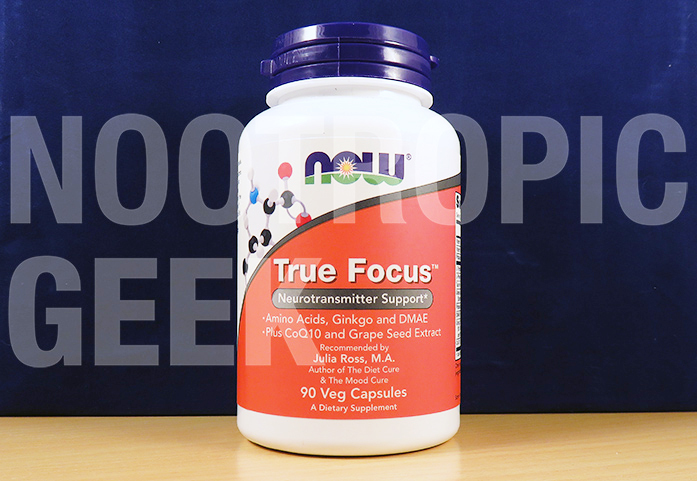 True Focus is available through various retailers, including Amazon, iHerb, and NOW Foods themselves. If you find yourself persistently in a Tyrosine-burning (i.e. stressful) environment, then I can see True Focus working very well for you. Considering how cheap this option is (only $0.44 per serving! 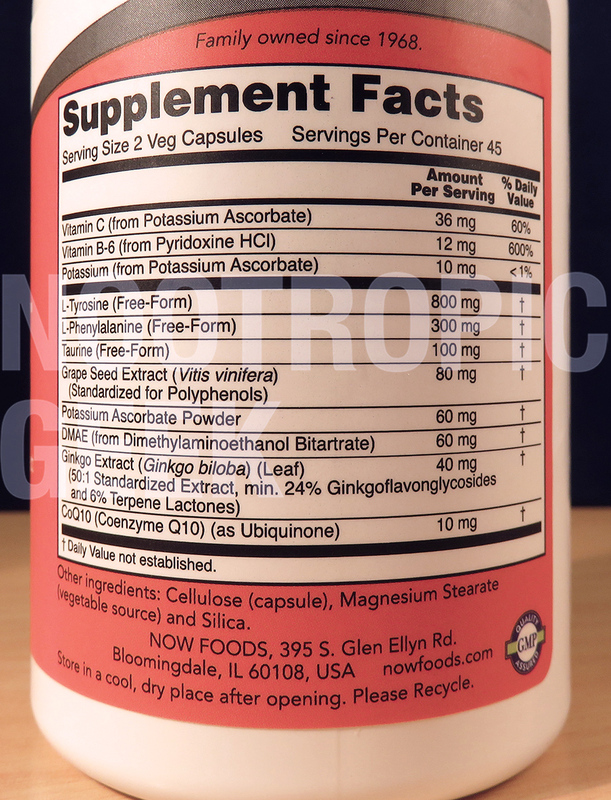 ), it’s definitely the better choice between True Focus and a straight Tyrosine supplement. Even if you’re considering the superior N-Acetyl L-Tyrosine form. The extra antioxidants and Ginkgo Biloba’s boost on circulation & memory more than make up for L-Tyrosine’s & L-Phenylalanine’s plain forms. Toss in a lot of mood-enhancing vitamin B6 and, yes, I can see you having a good time with this stack. Don’t expect major boosts in cognition with this product.